Perry Como - Volume 1. Perry Como commenced singing in 1936 with Ted Weems Band. In 1955 his chart success commenced with Ko Ko Mo. Between 1955 and 1959 he had 20 chart successes. 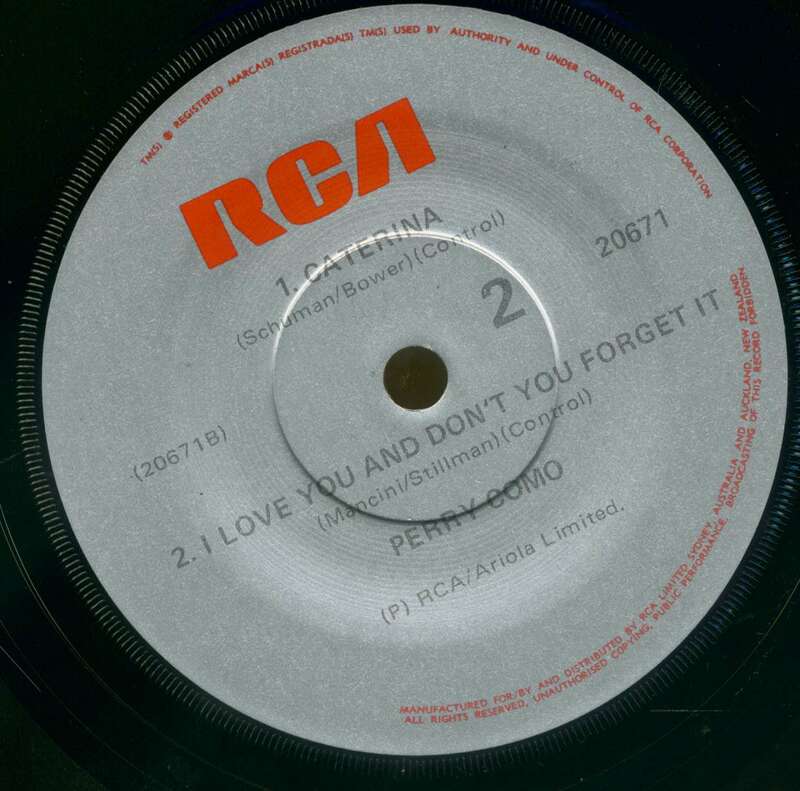 His last chart success was in 1973 with "And I Love You So". Selected and compiled by Discontinued Records, Sydney, Australia. P ietro and Lucia Como arrived in the United States from Italy around 1903. They settled in Canonsburg, Pennsylvania, just southwest of Pittsburgh, across the river from Steubenville, Ohio where Dean Martin, another son of first generation Italian immigrants, grew up. For the Comos, the New World was an almost exact replica of the Old. Pietro worked at Standard Tin Plate, but he and Lucia continued to speak Italian, never learning more than a few words of English until they died. They ate the food and drank the wine of the old country, attended church, and sang the songs they'd always sung. Women with less than five children were thought barren; the Comos had thirteen. Some were born in the old world, some in the new. Pierino, or Perry as he became known, arrived on May 18, 1912, the seventh son of a seventh son. 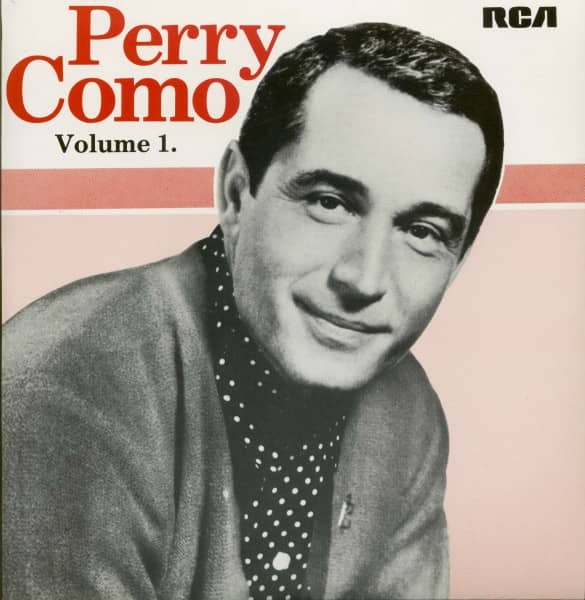 Third Avenue in Canonsburg is now Perry Como Avenue. Just the idea of it elicited a wince from Perry. He didn't like that sort of thing. 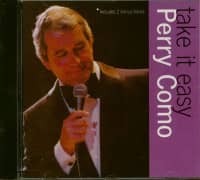 For the first five years that Perry ran up and down what would become Perry Como Avenue, he didn't speak English. He only began picking it up when he went to school. The mines and the mills where many of the immigrants worked were not for him: he would be a 'barbiere.' Nick Tosches reckoned that between one-half and two-thirds of Italian immigrants declared that they were 'barbieri.' Even the great Caruso had been a barbiere. Perry started apprenticing when he was twelve, and took over an established business when he was fourteen with two grown men working for him. "A haircut was fifty cents; now I pay twenty bucks. Maybe I got out too soon," he said. Another shrug. Maybe he'd told that joke too often. Perry had a guitar, and led his own barbershop quartet in his own barbershop, and played valve trombone in a brass marching band. On July 4 and Italian saints' days, they would parade around Canonsburg. "My father walked right alongside me in the crowd," said Perry. "That's-a-my boy, you know. He loved music." 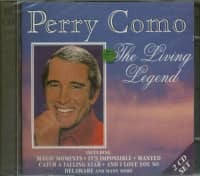 When it came to singing, Perry freely admitted to two influences, Russ Columbo and Bing Crosby. Perry always went out of his way to acknowledge Crosby's influence. Crosby has been portrayed as unlovable, sour-tempered, and miserly, but that's not the way Perry remembered him. "He was supposed to be surly, tough, but he was never that way with me," he said. "He was gentle. We got along. Played golf, did each other's shows, but he couldn't take a compliment. One time we did a duet on television, and I said, 'If it hadn't been for him, folks, I'd still be cutting hair.' He was embarrassed, almost insulted. Afterward, he said, 'Perry, don't say that.'" Around the time that Crosby became really popular in 1931 and 1932, Perry was getting up on stage around Canonsburg to sing the hits of the hour. Then, during a spring vacation in Cleveland in 1933, he went to see a local bandleader, Freddie Carlone, and auditioned. Carlone offered him a job, but Perry's barber shop was a thriving business netting him around $40 a week, and he needed some prodding from his father to go with Carlone who was only offering $28. He met the band at a park in Meadville, Pennsylvania. His girlfriend, Roselle Belline, came up there with him. Neither could face their parents if they weren't married so they went to see a justice of the peace in Meadville on July 31, 1933, just a few days after Perry officially changed profession. For years, he kept up his membership in the Barbers Guild. Just in case. Carlone led what was known as a territory band. It had thirteen pieces and they toured up and down the Ohio valley, and did a little radio but never recorded. 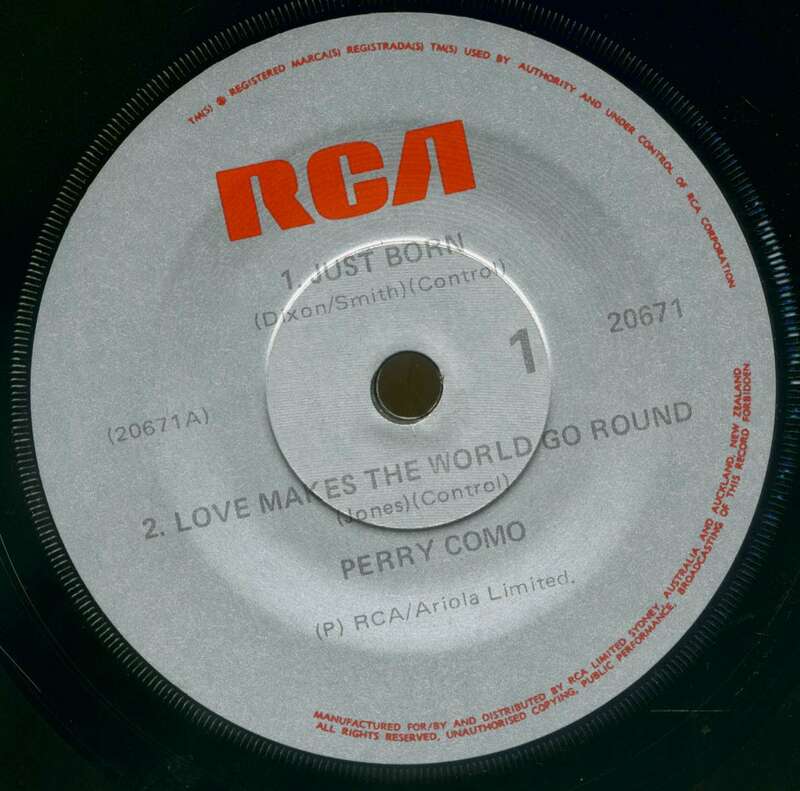 When they weren't working, Carlone's brother would take Perry to a club in Cleveland where he would sing for tips. 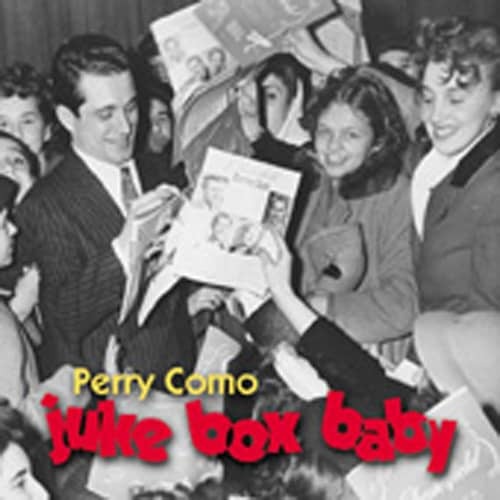 "Some guy would ask to hear 'Melancholy Baby,' I'd sing it, he'd put a buck into a jar," said Perry. "I did better with that than I did with the band." It was around this time that amplification became commonplace. Prior to that, singers would use megaphones. Perry had a megaphone with stardust painted on it. Now he was confronted with the new technology, but was slow to embrace it. "Freddie would say, 'Sing in the goddamn thing!'" he remembered, "and I'd say, 'No, I want to sing with the megaphone,' so in the end I sang through the megaphone into the microphone and it sounded awful. I don't think I ever knew how bad." Carlone's band was run by three brothers, and Perry was treated as the fourth Carlone. After a show, they'd pay off the band, then do a four-way split. Perry felt so much a part of the outfit that he didn't even respond to a wire from the self-styled 'King of Jazz,' Paul Whiteman, offering him a job. Carlone tried to persuade him to leave, but Perry was adamant that he wanted to stay, and, when an offer came from Ted Weems in 1935, Carlone had to push him out the door. Weems had heard Perry at a casino in Warren, Ohio, and wired him. "Ted was the same kind of man as Freddie," said Perry. "Gentle. A gentleman. I was doing well, sending money home to my dad, ten dollars, twelve dollars. Roselle came with me on the road. We had an old Packard, we'd load it up, put a mattress in there for my son Ronnie who was just a few months old, and we'd hit the road. California. Wherever." 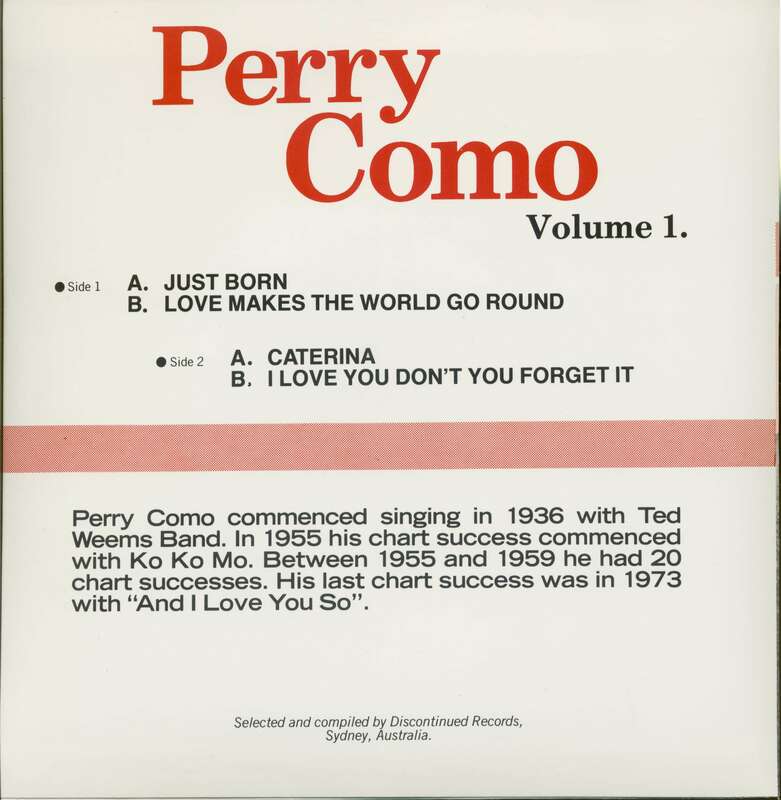 Customer evaluation for "Perry Como - Volume 1. (7inch EP, SC, PS)"